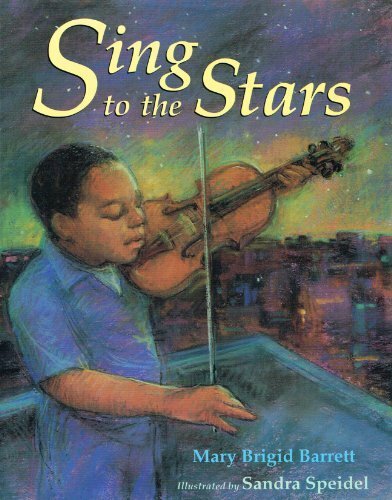 In a moving story thematically reminiscent of Emily Arnold McCully's Mirette on the Highwire, a young boy helps a blind pianist to play again after a long, grief-induced hiatus. On his way home from his violin lesson, Ephram is greeted by Mr. Washington, who encourages him to perform at an upcoming neighborhood concert in the park. The boy's grandmother tells him the story of Flash Fingers Washington, who "played hot, joyful jazz and cool, soulful blues" until an accident killed his little girl and left him without his sight. When a brownout leaves the concert in darkness, the two musicians proceed to the stage and perform "Amazing Grace" together. The prose has a beautiful cadence, and the contrast of city sounds with the suggestion of gentle violin music is effective. Mr. Washington's heightened sensory perception that compensates for his blindness is subtly established. The muted tones of the pastel chalk art reach to the ends of every page. They blend and balance dark browns and blacks with soft pinks, lavenders and blues, and bright greens and yellows. The sketches are impressionistic, with details only suggested, and the effect is breathtaking. A lovely book. Francis O'Shea doesn't have much reason to celebrate the holidays. Since his father's death, he has spent most of his time trying to earn money and caring for his younger sister, Katherine Mary. As Christmas approaches, he finds her in a large cathedral admiring a Nativity scene. She accidentally breaks an angel and both children are thrown out of the church. When his sister loses their father's scarf, Francis attempts to build a creche out of snow to help ease her sorrow. At this point, he has ceased to believe in miracles. His faith is restored when neighbors step out into the cold night to make the snow figures; in the morning, the snow Baby is wrapped in the missing scarf. The pictures tell a story of a time past when an apple or a loaf of bread cost a nickel. Wonderful illustrations depict wintry scenes and characters bundled against the elements. They provide a striking contrast to the indoor activities, adding an extra stillness to the cathedral and warmth to the O'Shea home. 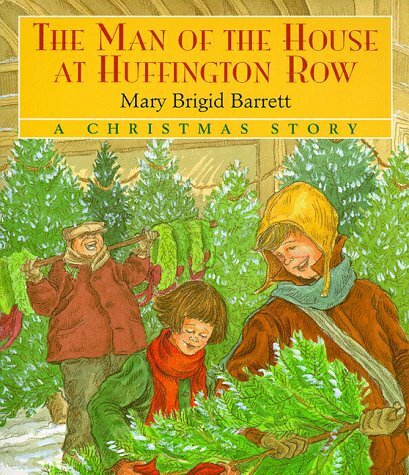 A heart-tugging selection about the true meaning of sharing and giving. Barrett presents a whirlwind tour of the ups and downs of a young boy's day. The scope of the book is broader than just day care; it begins with the family's waking, the morning ablutions, the car ride to day care, and, back at home, dinner, and bedtime. 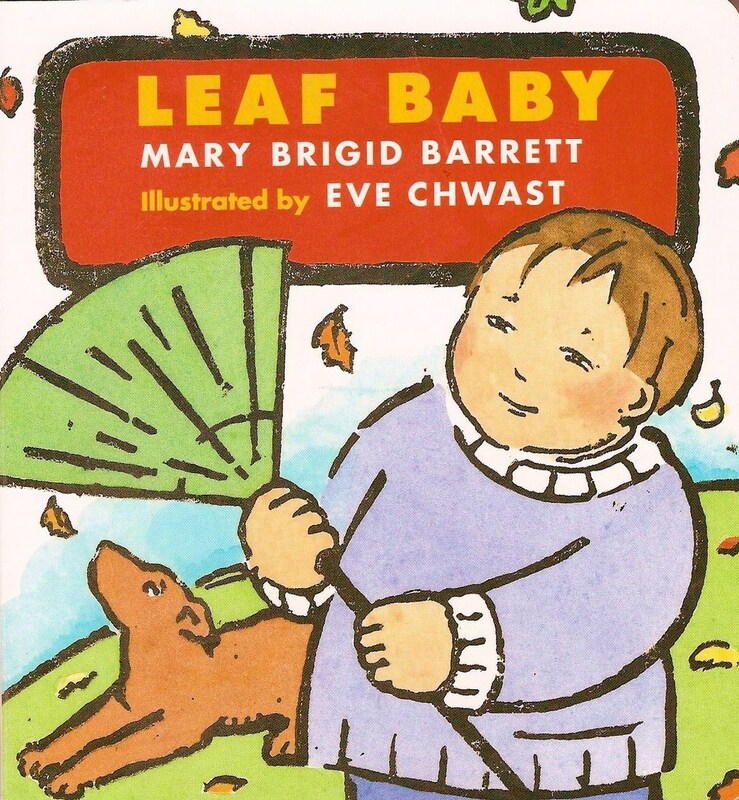 The pace of the rhyming text is a bit hurried, yet busy families will relate to the all-too-familiar activities. "Quick, go potty!/Daddy shaves./Mommy, in the shower, waves./Sister, SWISH-SWISH, brushes teeth./Baby's diaper starts to leak!" The illustrations, done in gouache on watercolor paper, while attractive, reinforce the sense of busyness-wallpaper, clothes, and rags are splashed with loud patterns and bright colors, creating a larger sense of disorder. There are even a few moments of sadness-a tear shed when Dad says good-bye and the loneliness felt by the protagonist and his baby brother when they are the last to be picked up at the end of the day. These incidents are, however, countered by moments of quiet tenderness. Overall, an upbeat and positive slice of life.